After the long wait, lots of rumours and speculations, Apple has finally decided to unveil their new flagship devices early next month. 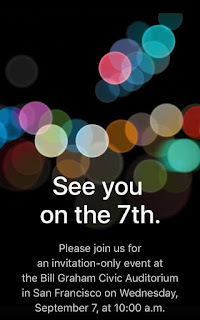 According to the invitation sent to press, the unveiling will be held at San Francisco on the 7th of September 2016. 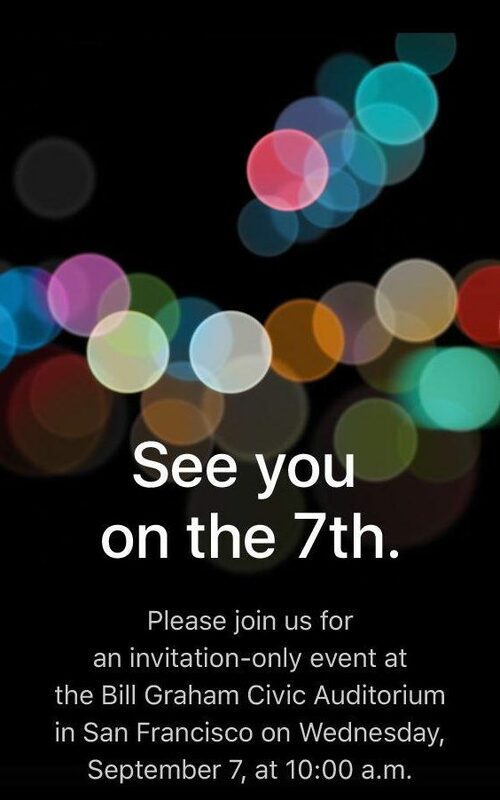 Their two new devices which are the iphone 7 and iPhone 7 plus are said to be unveiled then with maybe some other products. Although many rumours have been flying around for quite sometime now about how the new devices are going to look like and what the specs will be. But now with the leak images that has surfaced the internet, we know a few things for sure. I guess one of the things that really stands out is the absence of the ear phone jack as Apple's iPhone 7 and iPhone 7 plus would not be featuring it. 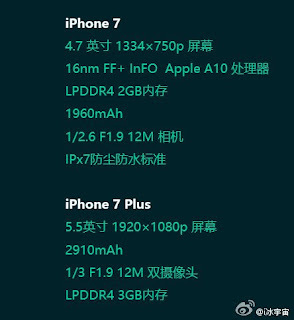 Base on leaked images and speculations, both the iphone 7 and iPhone 7 plus are expected to look very similar to the iphone 6 models in terms of design but with larger and more powerful cameras. A great improvement in terms of battery capacity is also expected. Also, according to online sources, Apple might finally be getting rid of the ear phone jack on the iphone 7 and replacing it with a pair of Lightning EarPods or possible wireless headphones, featuring Bluetooth or some other wireless standard. 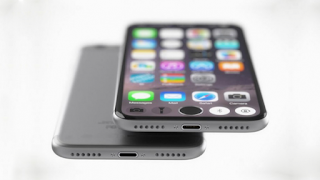 The traditional home button will also be replaced with a pressure sensitive home button. 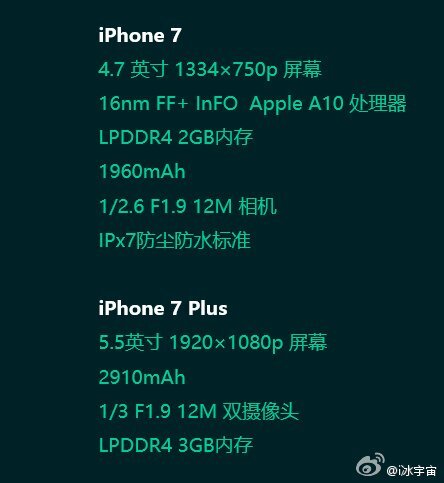 Below are some of the leaked specs of the new iPhone 7 and iPhone 7 plus.